Activate your warranty by registering your product within 10 days of purchase. Renelif Jewelry Edition includes a lifetime limited warranty. What this device did to me is worth sharing. At 50 years of age, my skin had started losing that lovely youthful look. Wrinkles and lines all over my face was annoying and unbearable. So I started going for the damn injections to correct the situation. But after I bought this prestigious product, things have completely changed. I now look a decade younger and I don’t go for the painful injections any more. The product also looks amazing to carry around thanks to its beautiful swarowsky stones. As a model, I had been so much disturbed by what my skin care expert called periorbital wrinkling or crow’s feet. We had tried several solutions but nothing offered significant change. A friend of mine who is also a model testified to me what a device from avologi had done to her. I visited avologi store and was attracted by the beauty of this device thanks to the prestigious Swarovski stones. I have started seeing significant improvement after 5 weeks of use. I can’t wait to see the long-term results! Congrats Renelif Jewelry Edition! This device works very well for my skin which was full of pigments. All the skin pigmentation is now gone. Beside its incredible performance, the device is also beautiful and fancy making it possible to travel around with it. Many thanks renelif! The customer care is friendly and great but the product quality and magnificent look is unbeatable. I called the customer care executive with questions regarding on how to use the gorgeous device and their answers are great! This device sets itself apart from the others because of its glamorous look which attracts everyone that see it. Avologi brand is the best but Renelif Jewelry Edition is the king! Although the product had transformed the facial appearance of my sister, I was equally attracted by the beauty and elegance of this hand-piece. 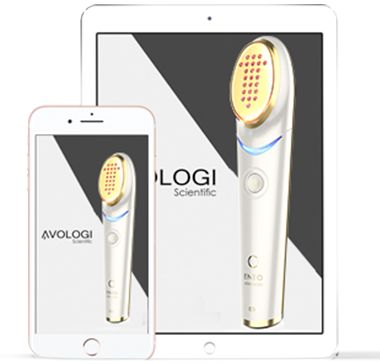 With diamonds decoration, this device looks more stunning compared to the other avologi devices. After using this electronic device for a few months, I can now say that this device is my hero. All the forehead lines I had before are now completely gone! 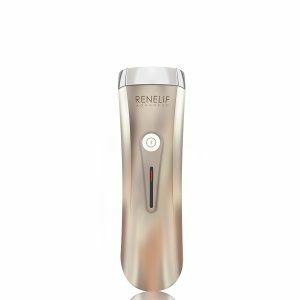 I had used several devices before I used this device from avologi but none of them is comparable to Renelif Jewelry Edition. This device gives me more motivation and I’m tempted to use it every time because of its luxurious appearance. If you want a great looking device which is incredibly easy to use, this is the product to go for. I usually fall in love very fast with anything that looks beautiful, elegant, and classy. Something that can attract attention and still perform best when it comes to renewal of my skin. Renelif Jewelry Edition did exactly this to me! It is perfect in appearance and perfect in performance. What’s more would I ask for? Kudos Renelif Jewelry device! We re-located from London to New York several months ago together with my family and that’s when I lost contacts with my skin care expert because I couldn’t book any more appointments altogether. That’s when I met avologi devices when researching for alternative solutions. I decided to buy Renelif Jewelry because it looked more attractive with stones than others. After a few sessions of treatment, my skin is now feeling good and relaxed. Can’t seek for appointments with skin care professionals again. I’m happy and grateful! The reason I rate Renelif Jewelry Edition product with a whopping five stars is how excellent it works. I started using this device 5 weeks ago and the skin around my cheeks is very beautiful. The device is also elegant,prestigious and compact. I don’t leave it behind even when going for work retreats. I can’t stop using this device. This device works great but it also looks stunning and elegant in the same measure. I cherish the attractive look which Swarovski stones gave to Renelif Jewelry Edition. When it comes to performance, this device have reduced my facial fine lines within a few weeks…I love everything about it. Great looking device! With Swarovski stones, this device looks stunning and that’s why I decided to buy it although I was told that the device is similar to other renelif devices from avologi. I have been using Renelif Jewelry Edition for two months now and I am completely satisfied by its performance. The skin under my eyes now looks tighter than ever before. I desired to buy Renelif Jewelry Edition the first time I found it on the Avologi website. I went ahead and bought it from their store. This device is not only good in performance, but also fancy and beautiful to carry around. I now like traveling with it wherever I go…..Love it so much! I heard about this device from my sister but I was skeptical at first. I must say that I am that kind of a woman who gets attracted to beauty and elegance so fast. So, when I found how elegant and beautiful the device is, I got hooked instantly and went ahead to buy it. I’m now surprised by the performance of the device…Its only three weeks since I started using it and I can see a remarkable difference.